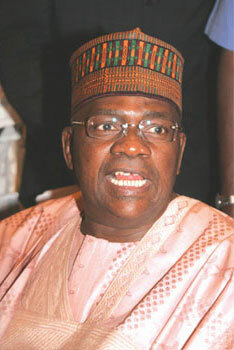 The Economic and Financial Crimes Commission (EFCC) has declared a nationwide search and arrest of the former governor of Gombe State, Danjuma Goje, wanted over allegations of corruption and diversion of over N52 billion state funds. I go tell him but he must give me 0.5 percent of d money wich is too much money!!! Okay. He's ugly. With a face like that, he should be locked away in a zoo even if he stole no money. I hope EFCC catch Danjuma Goje, Olusegun Obasanjo, Ibrahim Babangida, Atiku Abubakar, Goodluck Jonathan and the other corrupt official and looters of Nigerian treasury. EFCC was a good idea, but has become a political tool of Nigeria's ruling elite, (especially Olusegun Obasanjo, Goodluck Jonathan and PDP) to terrorise and humiliate their political opponents. SaharaReporters.com Fans say - "Nothing will come of the ex governors' arrest. The Nigerian Gov. is just making noise only to try and show people they are still around". EFCC should go and sit down and stop disgracing themselves...Waziri and co.how many persons have been punished or brought to justice for all these looting.